Considering the frequency that social network privacy comes under scrutiny in the media, it’s important to companies like Facebook that they make privacy settings more accessible and easily understood by their user base. 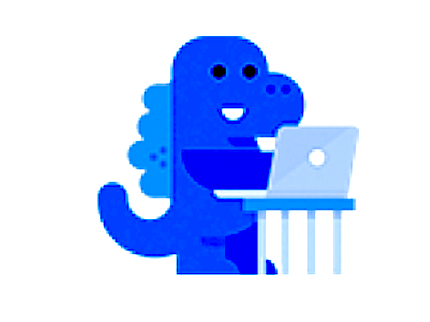 Last month, Facebook introduced a pop-up function featuring a little cartoon dinosaur that was intended to help guide users of Facebook that haven’t adjusted their privacy settings. The overall intention is to make changing one’s privacy settings easier and more straightforward. 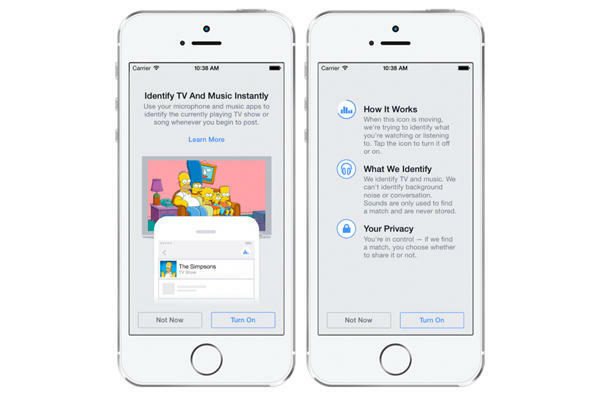 When they announced the beginning of these changes back in April, Facebook admitted that many of their users were confused about privacy in general, which is why they decided to introduce more on-screen explanations for their users who might need a little bit of additional help. The company mentioned that they do 80 trillion privacy checks per day and run thousands of surveys about privacy every day, in order to better find ways to ensure the safety of their users’ information. These surveys have led to some changes already, regarding the privacy of Cover photos, resharing content, and what status updates are shown to which groups of friends. Most recently, Facebook made even more changes to privacy settings, including finally setting the default visibility of status updates and photos from ‘public’ to ‘friends only’. The new updates will also add a Privacy Checkup, which will allow users to review and confirm their privacy settings in order to ensure that the information they are sharing on Facebook is only able to be seen by who users want to see it. With Facebook’s friendly cartoon privacy dinosaur along for the ride, Facebook users should be able to set their privacy settings much more easily than they have been able to in the past. Not long ago, Facebook added a feature that allowed users to mark what they were ‘listening to’ or ‘watching’ that would automatically include links to things like Spotify and feature a neat little icon (such as a pair of headphones or a television) to better show off what users were doing. Though it was a cool little addition, there wasn’t a whole lot to it. A recent announcement by Facebook made on Wednesday has stated that this is about to change. Facebook has announced that they will be implementing a feature that uses audio recognition, similar to the popular Shazam application. 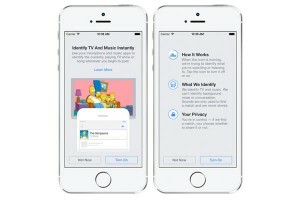 This function — which users can choose to use or not — will be able to use their phone’s microphone to automatically use audio recognition to determine whatever music you are listening to or whatever TV show or movie you are watching, and instantly update your Facebook with this information. If the feature is turned on, an icon will be shown on the phone’s screen as a status update is being written. This means the new, unnamed feature is listening and determining what song, TV show, or movie is being listened to. The audio recognition will be able to allow users to share a 30 second clip of whatever song they are listening to; if it is a TV show, Facebook will automatically be able to pick up what season and episode is being watched, which can be used for further discussion with one’s Facebook friends. While Shazam is usually used to determine the name of a song you’re listening to, perhaps so you can share it with your friends, Facebook seems to be attempting to cut out the middleman, which could be quite detrimental to Shazam and other audio recognition software. Of course, Facebook will also likely be using this information to better gear advertisements to their user base. Twitter announced on Monday that they’re rolling out a new feature that will be available on the Twitter website as well as the iPhone and Android applications. For quite some time, Facebook has featured the ability to ‘hide’ a friend, which allows them to be completely taken off of your timeline without defriending them completely. This allows a Facebook user to not have to see obnoxious or annoying or boring posts without the potential social awkwardness of having to delete someone from your friend list (which is often seen as a personal denouncement). 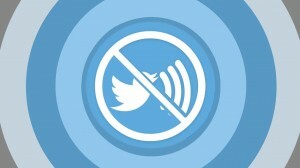 Twitter’s announcement is the release of a similar feature, known as the mute button. The mute button will allow a Twitter user to stop seeing posts by users that they do not want to hear from; they will no longer receive notifications on their phone from that user and that user’s Tweets and Retweets will not show up in the timeline. A user who has been muted will not be notified that they have been muted, again allowing users to restrict potentially annoying or otherwise unwanted messages to prevent any awkwardness. This isn’t exactly a brand new feature, however. As the ‘hide’ function has long been popular with Facebook users, certain third-party Twitter clients such as Tweetbot, have allowed mute functions for quite some time, even including the ability to mute specific hashtags and keywords, which is an option that Twitter has not yet made available. Hopefully, in the future, Twitter will continue to expand on this new feature to maximize its usefulness for what Twitter users do and don’t want to see in their timeline. Though Foursquare has not lately been at the forefront of the social media world — especially with other social networks like Facebook incorporating check-in features that have made Foursquare somewhat obsolete — they have recently made an effort to gain a resurgence in popularity by splitting their mobile application in two. What was once Foursquare will soon be two separate apps: Foursquare and the newly launched Swarm. While Foursquare’s focus has long been on checking in to specific locations, Swarm will be more focused on providing a general idea of where your friends are. Rather than having to check in to certain locations (although this feature is still available for those who wish to use it), Swarm will instead passively take note of the general area or neighborhood that you are currently in. You’ll be able to see what other Swarm users are around you at all times. Foursquare itself will be undergoing a large number of changes as well. Early reports are claiming that Foursquare’s well-known check-in feature will be removed entirely and the mobile app will be transformed into something that resembles Yelp more than anything else. The new Foursquare will be used to search for places and recommend places (such as restaurants, bars, and other venues) based on the places you have already been, what you have rated highly, and what your friends have rated highly. Since this is the fast-paced world of social networks, it’s no surprise that Foursquare has already managed to step on a few toes. A preexisting start-up known as Swarmly, which also works with sharing location, has mentioned that they think it’s a little too coincidental that Foursquare has launched Swarm under that name, considering the Swarmly CEO claims that Foursquare is already quite aware of their app. Regardless of this potential naming conflict, the main issue will be whether users are interested in using the newly updated Foursquare and its companion app Swarm at all. As older social networks such as Facebook and Twitter have been updating their functionality to keep up with the times, newer social networks like Snapchat are adding new features in order to stay ahead of the game. In an effort to consolidate a large number of useful features into one mobile application, Snapchat announced today that its platform will now include live video chat and ephemeral messaging options, putting it in direct competition with other apps, without damaging the integrity of Snapchat’s original purpose. In order to use these new functions, a Snapchat user simply must swipe right from the main camera screen, which will lead to their list of friends. From there, messaging and video calls can be made. One of the biggest draws to Snapchat is that pictures sent via the mobile app are ephemeral, meaning that they appear for a temporary amount of time before deleting themselves. Keeping in tune with this, the messages are also ephemeral and are erased after they are viewed. Snapchat announced these updates by sending out a Snapchat message to all of its users, featuring a video that showed the messaging and video chat functions in action. There have been applications that featured ephemeral messaging that have been released to varying degrees of success, such as Ansa, but Snapchat’s ever-increasing popularity makes it quite likely that these new additions to the application will result in a purge of its rivals, or at the very least, will force its new rivals to implement additional features to their own mobile apps.